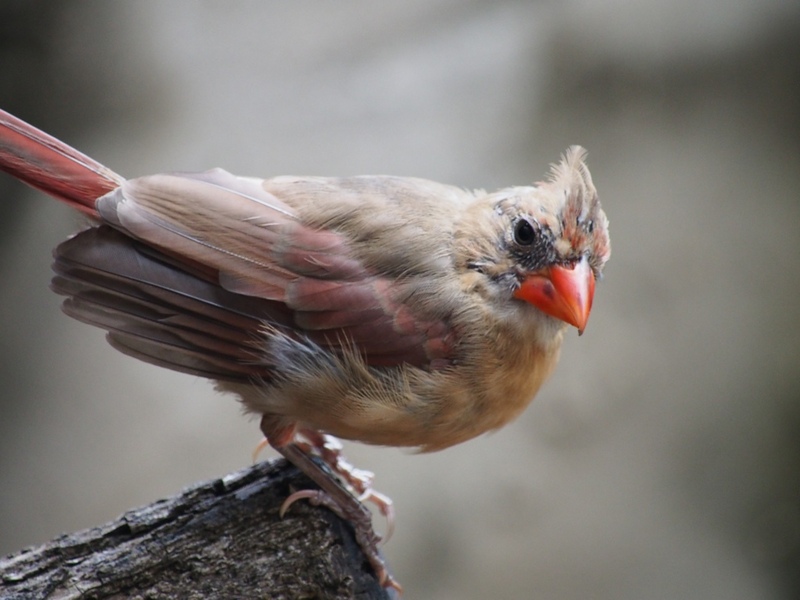 I have been feeling a bit snubbed by the local Cardinals. 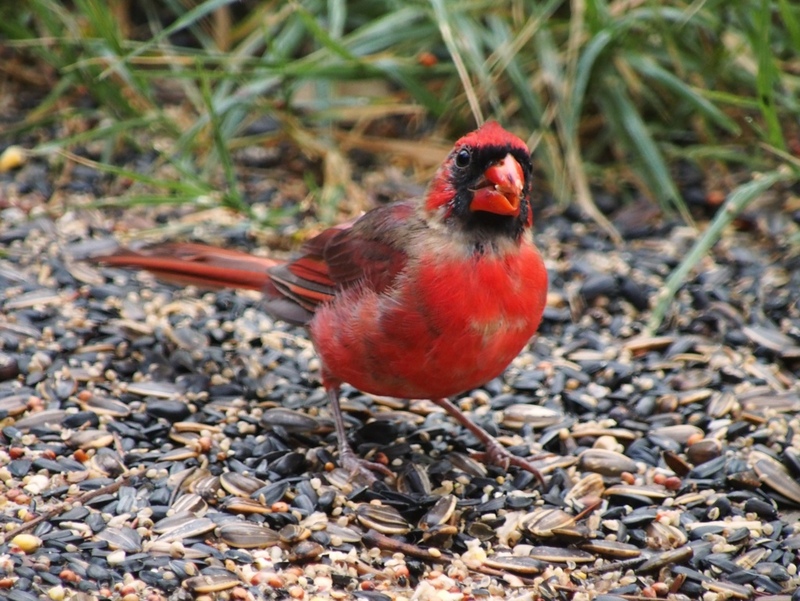 14 feeders filled daily and nary a cardinal shows their red and black face. 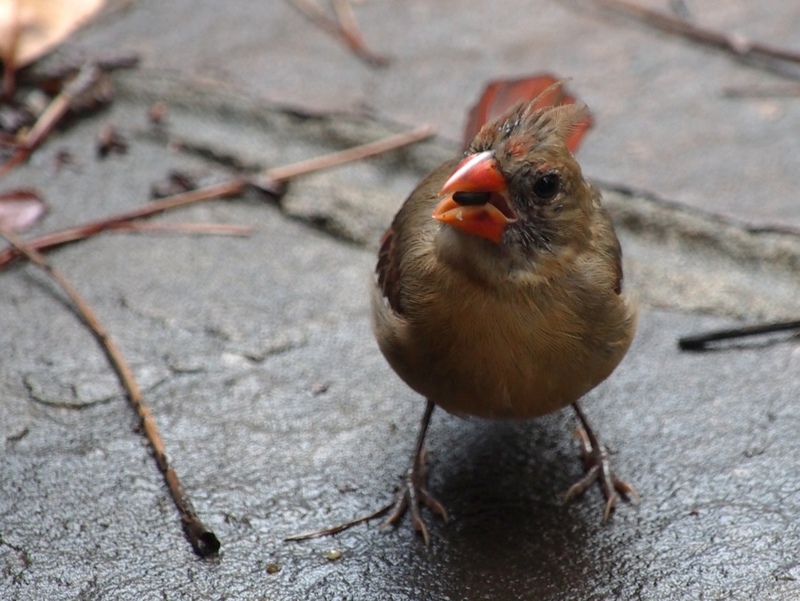 The whole point of hanging all those feeders was to get the cardinals close enough to get some nice snaps. 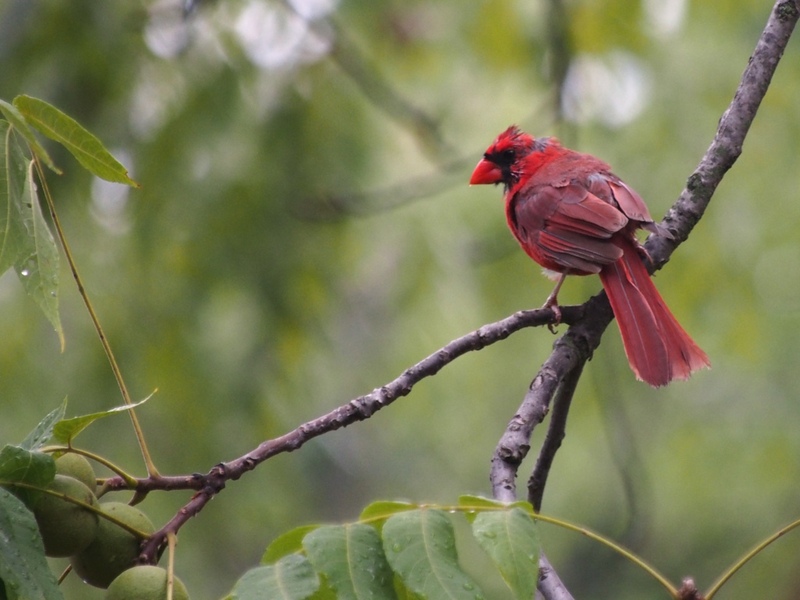 Last weekend after the rain I finally got me some cardinal love. Two male cards perched off in the walnut tree and gradually got closer and closer to me. The patio where I snap my photos has a pergola overhead that rests on two log columns with stone bases. The two male cards decided to check me out from each side. They scoped out the best places to feed. 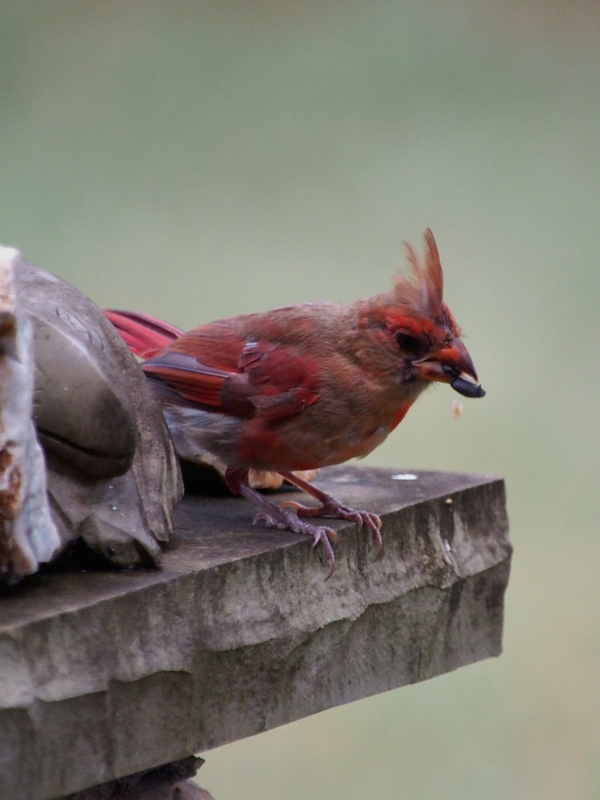 This guy has an epic mohawk! This guy popped back into the tree and did his best parrot impression. 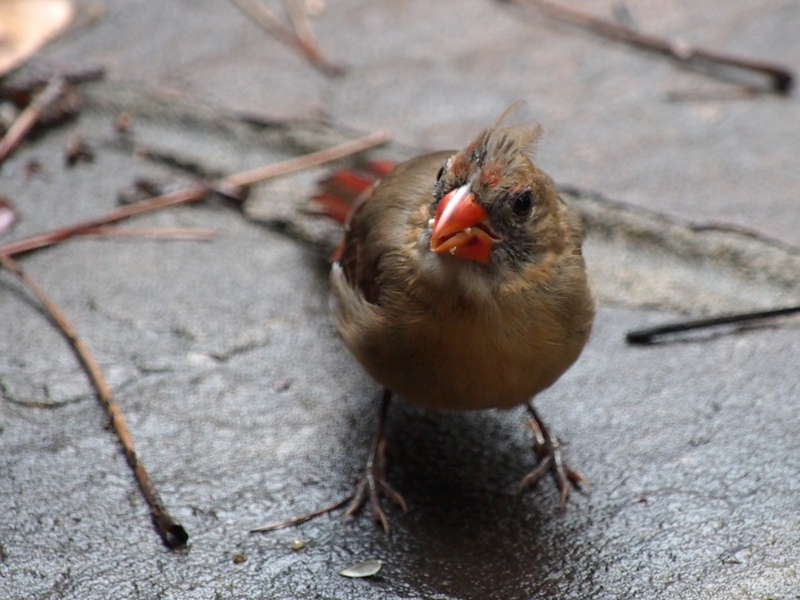 The two guys were joined by this girl who sports her best Angry Birds poses. The girl settled in on the arm of a sassafras bench right next to the doorway were I was sitting inside. I saw her reflection in the open glass door and slowly pointed my camera around the corner until I saw her on the LCD. She was less that 3 feet from me. She hopped up and turned around and threw me a pose.That girl has a little Cap’n in her. In addition to being shy, the cards are just too large for a lot of feeders, I didn’t know this until I had already set up a feeder system. I’ve been looking for a tray feeder, in the meantime they cards have discovered the patio below the feeders – it’s the world’s largest tray feeder and needs no stand. I’m glad these guys finally gave me a shot at snapping them. 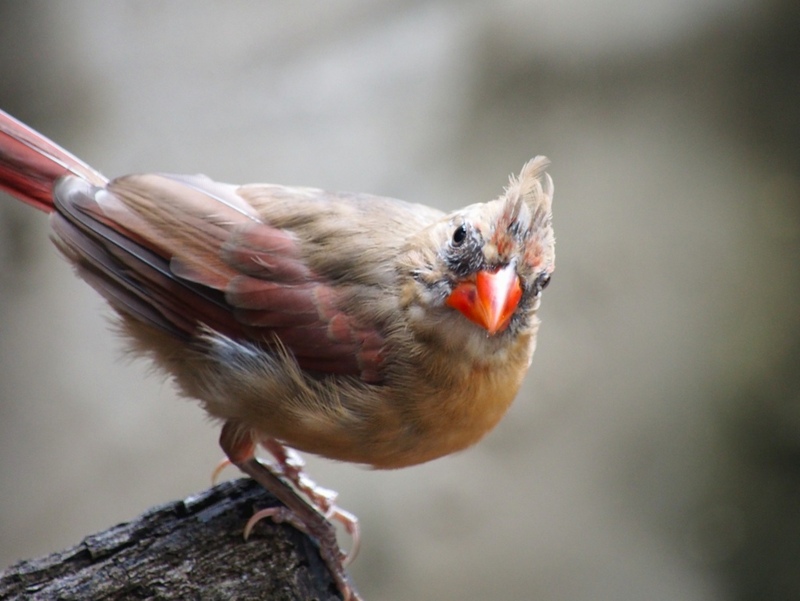 This entry was posted in birds, Ozarks, Photography, wildlife and tagged birds, Cardinals, Olympus E-M5, OMD, Ozarks, photography, wildlife by artsifrtsy. Bookmark the permalink. Love these shots! Unbelievable that the female was so close AND let you take her picture! I’ve never seen so many at one time. Great work! 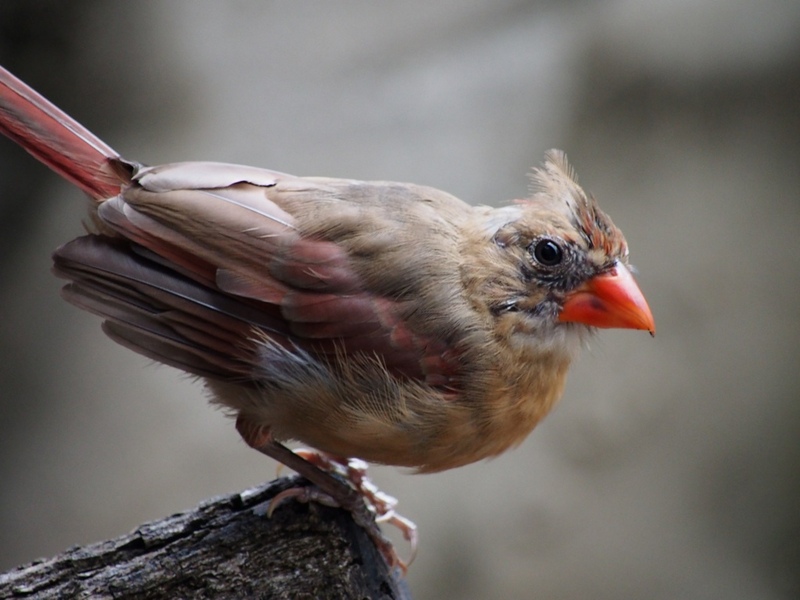 Thanks – This was very unusual for the cardinals – they don’t typically get so close. She was kind of a ham. What beautiful coloured birds the males are. Nice capture of the females too. 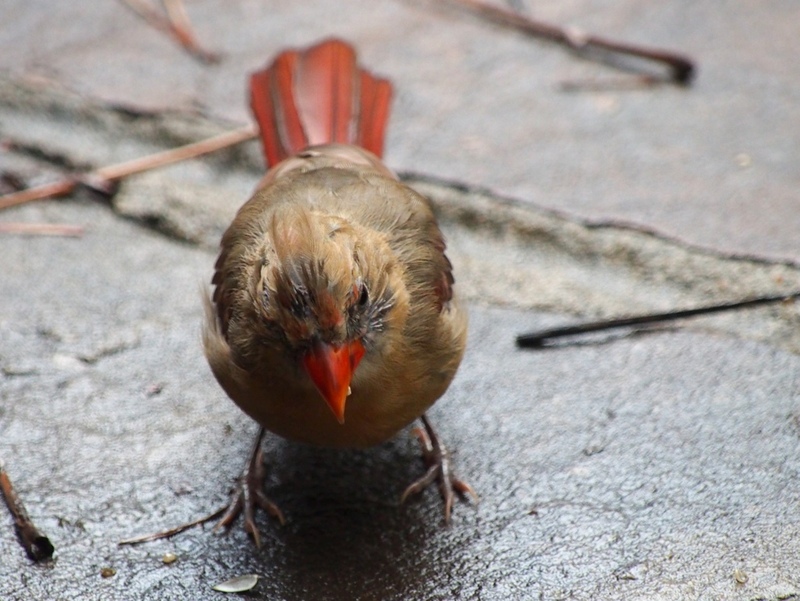 I don’t think we have Cardinals in Australia – they’re not in my bird guide. 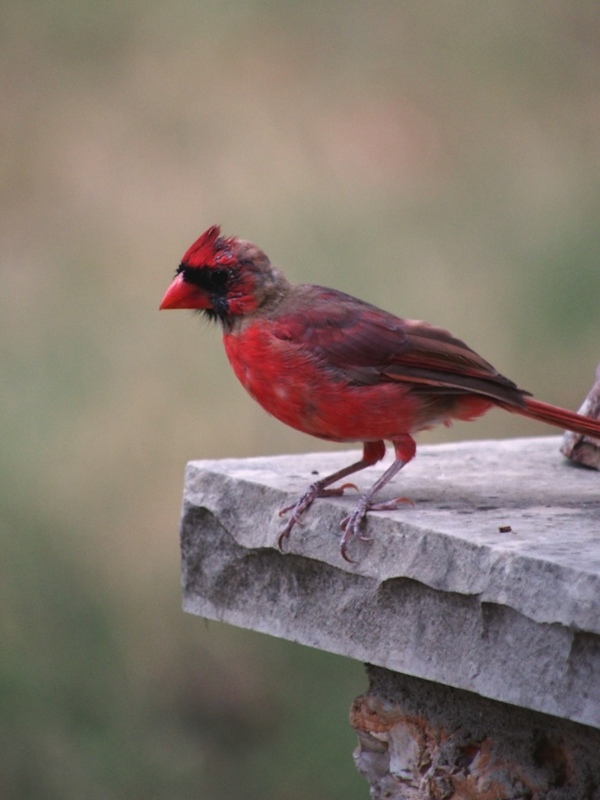 Hi Vicki, Cardinals, goldfinches and buntings are really the colorful birds here. I love them. These guys are really scraggly because their molt is not complete yet. 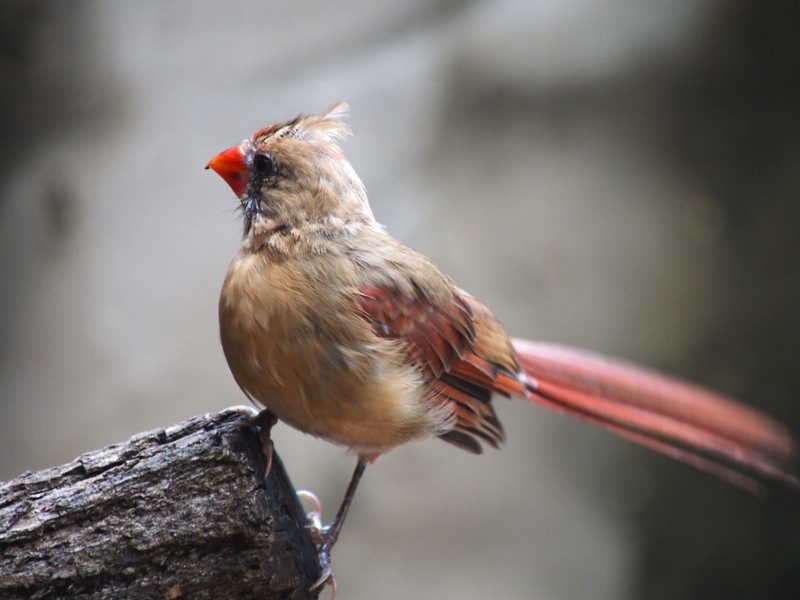 They are stunning birds, especially the males once they are finished with the molt. I’m hoping the adults in the woods wander up to my feeders soon. Fun! 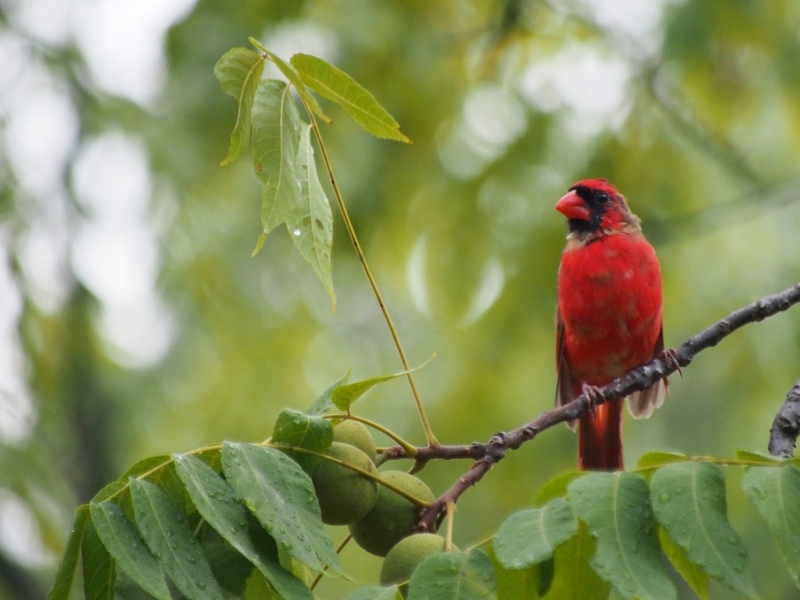 I love cardinals and fireflies. They aren’t where I live so are always special to see when I’m traveling. Hi Russ, I fell in love with them when I moved to the Ozarks. I love fireflies too! Pretty “girl” photos. Really nice captures there. Course I love parrot boy. Thanks for sharing these. Thanks Raven. I can’t wait to see the new feeders. Do you think the golden female is a young one too? 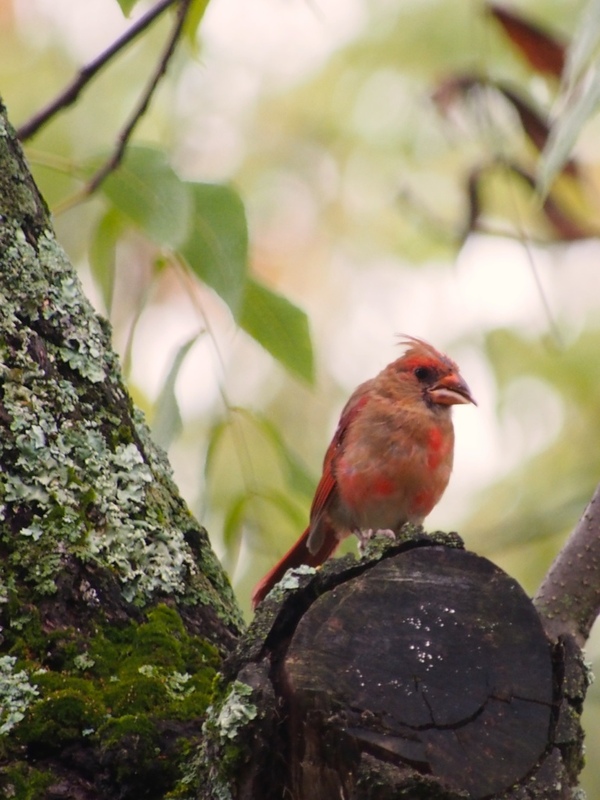 The mature and perfect male is just to shy to hang out with me – he sticks close to the treelike, although he does talk back to me when I play the cardinal call on my iPhone:) I have never had cards close to the house before, these three are pioneers. I have seen them in the woods along my drive for years, but never saw the young ones before, maybe the scraggly look is better camo 🙂 Some neighbors tell me that they have birds year round. I’m hoping they do bring their friends! 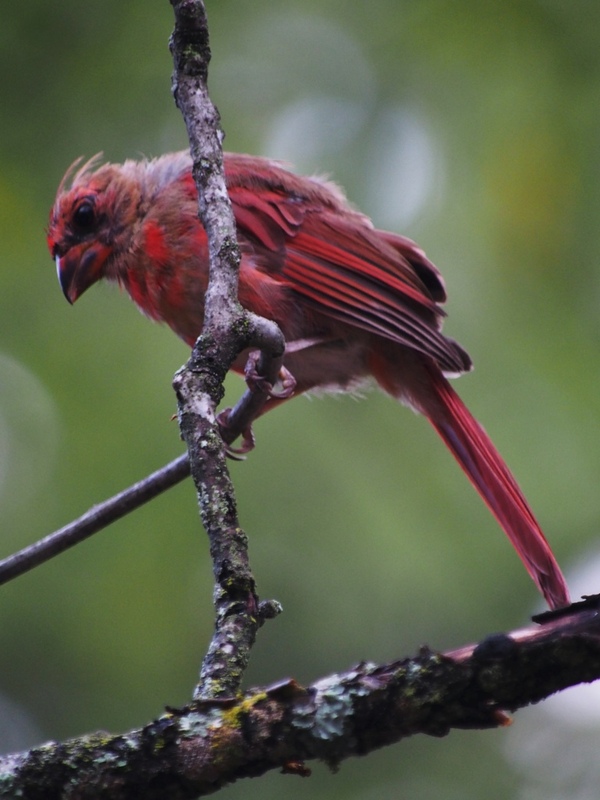 It’s many years since I’ve seen Cardinals. Thanks for these great pictures! Thanks for stopping by. I have always loved them – they have a beautiful song.